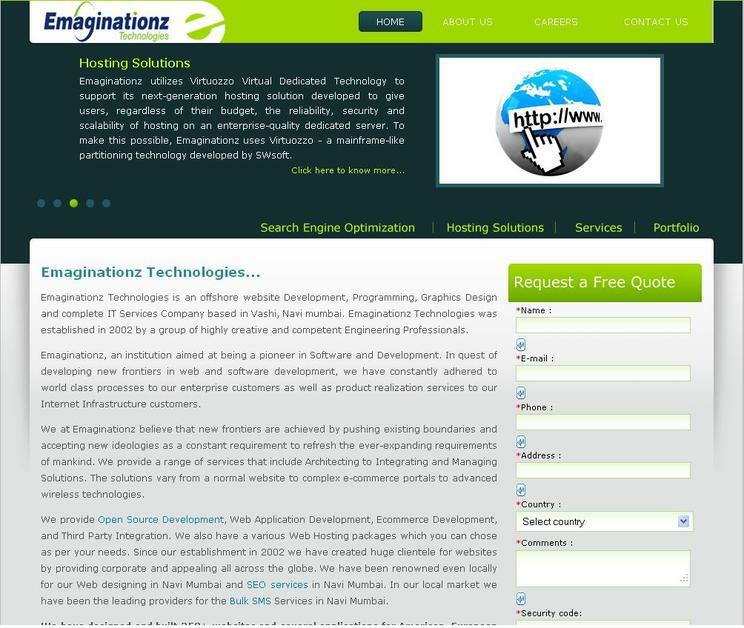 Emaginationz Technologies is web design and development company based in Navi Mumbai, India. Aslo emaginationz provides internet marketing services like SEO, PPC, SMO, Email Marketing to increase your business online. We also provides mobile application development , ERP Solutions, Digital Right Management, hosting solution, Bulk SMS Services.